The subtitles of all 62 episodes are dissected for both transparent and hidden meanings. Also under a microscope: the color palette, the carnage, deadly chemicals, getaway cars and the “Challenge Coins” given to cast and crew at the end of each season. 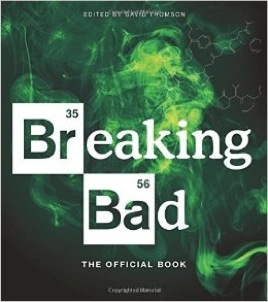 Breaking Bad: The Official Book, lavishly illustrated and annotated, ends up weighing in at 224 soft-cover pages at a retail price of $19.95. The series finale originally aired back on Sept. 29, 2013. If you still don’t know the outcome, this probably isn’t for you. Otherwise indulge yourself with a book that deeply scratches the itches of fans who want to be further in the know. The young woman would have been Walt’s grown-up daughter, Holly, whom he provided for in an ingenious way during the final episode. But this particular flash-forward never got beyond the writers’ room. Gilligan since has endured CBS’ cancellation of his Battle Creek police series while basking in favorable and sometimes ecstatic reviews for his Breaking Bad prequel, Better Call Saul. 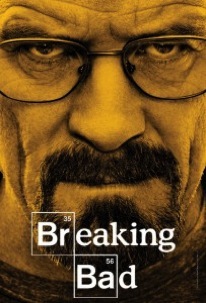 But he doesn’t expect to ever top or equal Breaking Bad. The first “Official” book gets it right most of the time. It’s not coffee table-sized but is beautifully illustrated as such. You can page through it time and again, picking up the words at your leisure while continuing to appreciate the views.